If you’re like me, you’re seeking greater happiness, a more accepting, loving relationship with yourself, ending self-sabotage and self-limitation, fulfilling your purpose and learning how to master your emotions, thoughts, energy and unconscious blocks! So how would you like to attend a FREE Retreat for your Soul with me and other like-minded seekers who are committed to doing the same? You don’t even need to leave the coziness of your home to do it! 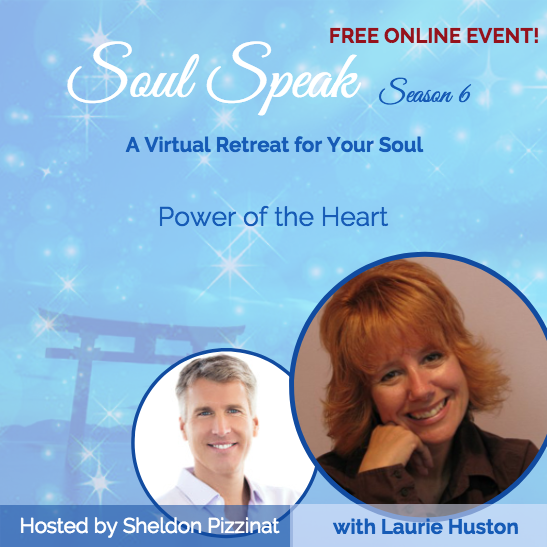 I’ve been invited to this year’s global healing and learning sensation – Soul Speak. Come join me and other expert teachers, healers, coaches, educators as we support you in healing and transforming your life while creating the greatest version of it existing in your heart…right now! You can attend right from home in your PJ’s and with a latte, while in your car, at the office, or on a walk! YOU get to choose when and how you participate! Use your iPad, smartphone, or computer. Be a part of the WORLDWIDE RETREAT FOR YOUR SOUL. It’s FREE, powerfully uplifting and simple to attend! How to identify, heal, release and clear unconscious blocks within yourself…gracefully. Strengthening your intuitive connection and living your life empowered with Divine Guidance and Self-confidence! How to rise and LIVE above worry, doubt and fear…so that you can create and sustain your heartfelt desires! This is a once a year event. Don’t miss the chance to up-level your life! Everything you’ve ever wanted is within your reach, you just have to reach out, allow and embrace it! PS: Whenever two or more are gathered a collective energy field is co-created acting as a current. Relax and let the Soulful current of Soul Speak carry you to more joy, upliftment and inspiration. This entry was posted in Uncategorized and tagged Laurie Huston, Power of the Heart, Sheldon Pizzinat, Soul Speak. Bookmark the permalink.